What Is Human Consciousness and Where Does It Come From? Can science explain consciousness? If so, where does our consciousness come from, the brain, the soul, the heart or where? As for the soul, there is a conspiracy regarding the true nature of consciousness. There is a tendency to hide the truth about consciousness, this tendency stands in tandem with the tendency of few rulers ruling over the vast majority of people. They achieved this throughout history by keeping most people in delusion. The first tendency – that the ruling elite does everything to rule – is familiar to us and we all agree on that. But the other tendency – that this same elite does everything to keep people in ignorance of their true nature, of the nature of consciousness – little do we know about that. Perhaps because we all tend to understand consciousness lightly, thinking that we all already have more than enough of it, that it is self-evident, and there is our ego as well, which defends its consciousness with all means, whatever it may be. Only by bad consequences can we see that the consciousness we had was not good, but then we are inclined to blame all the other causes for those consequences, apart from our poor knowledge of the true nature of consciousness. Perhaps the poor consequences of our actions on life and nature would be better understood if we knew what is now very easy to find out on the Internet: There are around 43,000 corporations around the world. When looking at their cross-ownership and managerial positions, it seems that there are actually only 400, which are again through by cross-ownership and directorial positions controlled by only 20 banks. The owners of these banks are several ruling families. Behind all the major universities and scientific institutions as well as the media, which determine what “true scientific knowledge” is for the whole world, and what is not, there are the Jesuits. So they control all contemporary life in the world. They thus control the question of consciousness as well. How did the Jesuits become a part of this story? That’s very easy. Before the advent of science and the modern world, the same elite ruled the people and held them in ignorance through religions. The basis of religions or the idea of God is true, but all those nebulous myths and proven fabrications are not. Institutional religions have always been used to control the mind, there is a simple truth about the divine origin of the human soul and consciousness hidden in myths and meaningless theology. When modern times came, the same control was continued through science, and all sciences were strictly confined to materialism and empiricism. On the one hand, that was necessary for science to develop on a real basis and completely, but together with it, the divine nature of our soul and consciousness was concealed. In the basis of the whole misconception about consciousness is the belief that it comes from the matter, from the body. It is completely unsustainable nonsense, because the nature of the consciousness itself is such that it can’t come from something that is unconscious. The truth is reversed: the body comes from consciousness. The intelligent design is therefore forbidden in science. What an insult to the intelligence is the attitude that the consciousness arises from the matter, is shown in the design of the very nature, the work of cells, which in all its aspects shows the creative action of consciousness. The scientists themselves have calculated that the cosmos itself is not old enough to be able to form DNA or any cell by accidental collisions of particles. In their words, this would be the same as if we expected a monkey in a large pile full of various elements to randomly throw these elements together, and create the Boeing 747 Jumbo Jet. But such a voice, although originated from Francis Crick, the man who discovered the DNA, remained lonely. The universities continue to teach that this monkey has really composed the Jumbo Jet and the whole modern civilization. Namely, all rigorous scientific research proves the theory of intelligent design according to which nature and life rest on a higher consciousness, and not on material causes and coincidences; that consciousness does not arise from matter, but vice versa, that what we mistakenly call “matter” (and what quantum physics proved does not exist) comes from consciousness, from the intelligent design. You can find out more about it in a book by Stephen Meyer: Signature in the Cell: DNA and the Evidence for Intelligent Design, as well as in the book by a Nobel prize winner Francis Crick, who discovered the DNA: Life Itself: Its Origin and Nature. You should trust him when he proves that DNA could not in any way be created through evolution, but it was created by an intelligent design. One of the simple proofs for this is the following. All life rests on the division of DNA, and the division of the DNA is not possible by itself, but this complex work is performed by proteins. However, the code for the formation of proteins is in the DNA itself. Obviously, both of them had to be created at the same time, designed by some higher consciousness. All relevant scientific evidence shows that evolution does not exist and that all life is created by a higher intelligence. There is no valid evidence in support of Darwin’s evolution. The very mode of reproduction and nutrition of many animal species would not have been possible, had they evolved gradually. It had to be created at once, designed in its entirety, and not evolving gradually. The point of all is that this higher consciousness that creates life is exactly what has been called the Divine Consciousness, God, or the consciousness of our soul since ancient times. 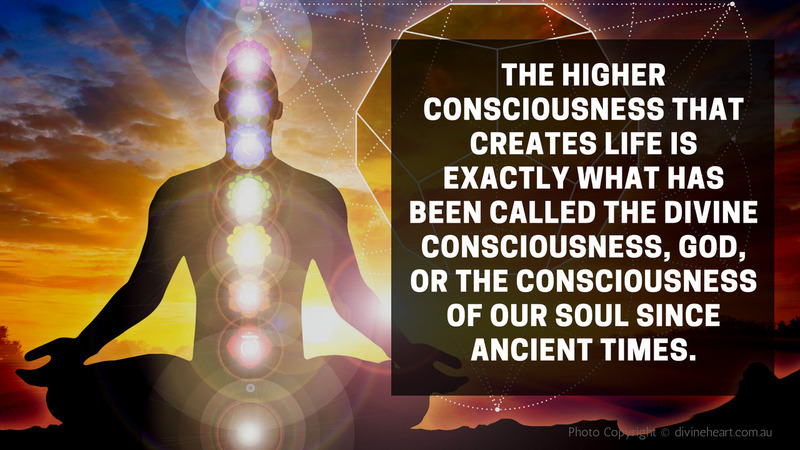 What is higher consciousness and where does it come from? In addition to contemporary science, there is also an esoteric science that has been teaching the truth about all this, about the true nature of consciousness and our soul, for thousands of years. Namely, all consciousness in nature and within ourselves comes from the soul, and our souls come from the divine Absolute (God) that enables everything, including the mere existence. The souls are his individual emanations or monads. There is a beautiful parable in which the origin of the soul and consciousness is compared to the tree that is placed upside down, whose roots are in the sky, and the branches and leaves are on the earth. The common root of all existence is in the highest heaven, in the universal quantum field, from where it arises as a single phenomenon in space and time. From this common divine root, individual monads of consciousness are developed. In the esoteric knowledge they are called archangels and angels, while here on the earth each conscious individual will be in that parabola as one leaf. 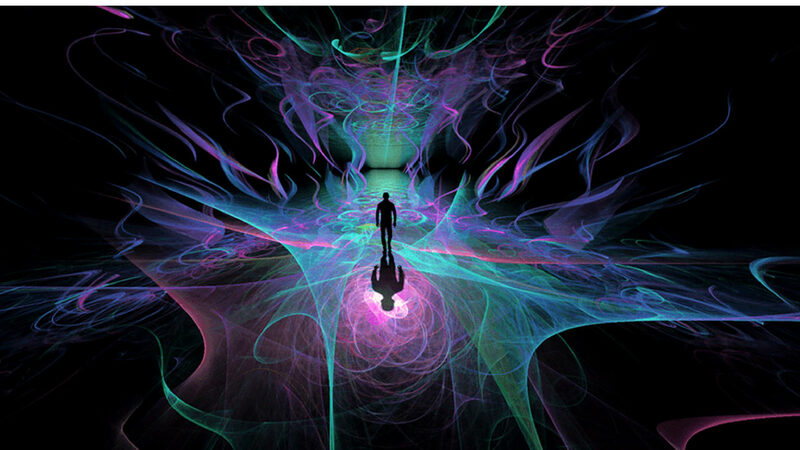 The universal quantum field is the source of consciousness and energy, it contains the potential for everything that is manifested in our crude, physical world, everything that has ever been, what is and what will be. Hence, this field is the true source of all memory. The brain does not keep memory in any of its parts, but simply allows the connection with the universal field of consciousness, quantum field, it does not create consciousness, it is only the body that receives consciousness and conducts it into the body and action. This is done by the pituitary and N, N-Dimethyltryptamine (DMT). The brain is the only recipient of consciousness, says neurologist Karl Pribram, based on solid scientific evidence. Memory is universal, so we can have other people’s memories, so seers can see other people’s thoughts, past, present, and future: they simply have a stronger connection with that universal quantum field in which there is always everything that can ever exist, past, present, and future. That is why those who experienced clinical death, experienced the immediate recapitulation of all their life experiences, to the smallest ones, nothing is lost. This happened because they approached those higher dimensions of existence, the quantum field, in which there were and is everything we ever did. In short, consciousness and existence are one and the same, only in different dimensions and proportions, in an unspoken and manifested state. Consciousness is the highest and the finest dimension of nature, and the existence is the lowest, manifestation, or gross reality. At the highest level, there is an idea or thought (for example: this is a stone in hand), and at the lowest rough level this idea or thought is the very thing, it’s the stone we are holding in our hand. It is the same, but due to different dimensions and the extent to which the nature exposes itself, seems to be different. More details about how consciousness and existence are expressed through man and his psycho-energetic centers, chakras, can be found in my book Samadhi: Unity of Consciousness and Existence. 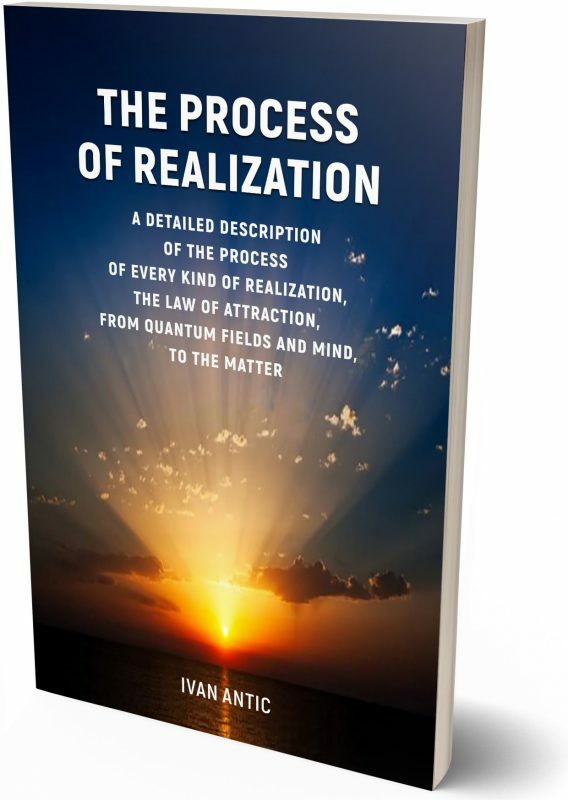 The dimensions of nature and the action of consciousness through these dimensions, can be seen in the book The Process of Realization. 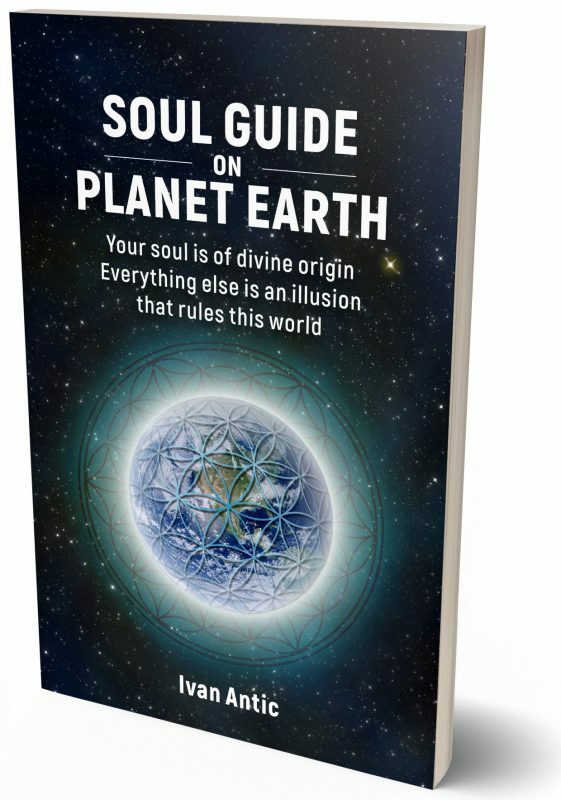 The argument of the true nature of the soul and all conditions that cause the forgetting of consciousness and soul in this world, can be seen in the book Soul Guide On Planet Earth.